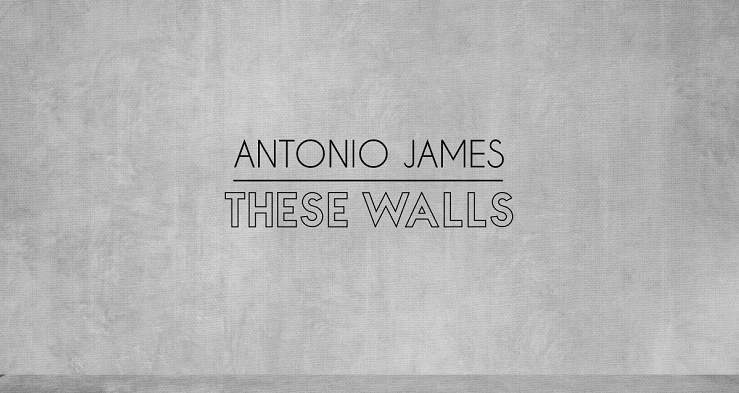 Reclusive UK producer Antonio James releases new single ‘These Walls’ on 4 March, the follow-up to highly acclaimed debut single ‘Midnight Mirror’. This first musical foray was a brilliant introduction to the London producer’s chillwave sound, and ‘These Walls’ further explores his wonderfully unapologetic take on neo-R&B. The narrative here focuses on the intricacies of a difficult modern-day relationship and the effects of addiction. There are moments where ‘These Walls’ feels like a FKA Twigs highlight track, grabbing the listener’s interest and managing to keep it. Style-wise there are also hints of the Weeknd’s influence throughout; even that of singer/producer Boots in the delivery of the track’s throbbing pulse. The result is an intriguing expansion on the producer’s debut last year. A striking effort, Antonio James is clearly ready to break onto the UK music scene.